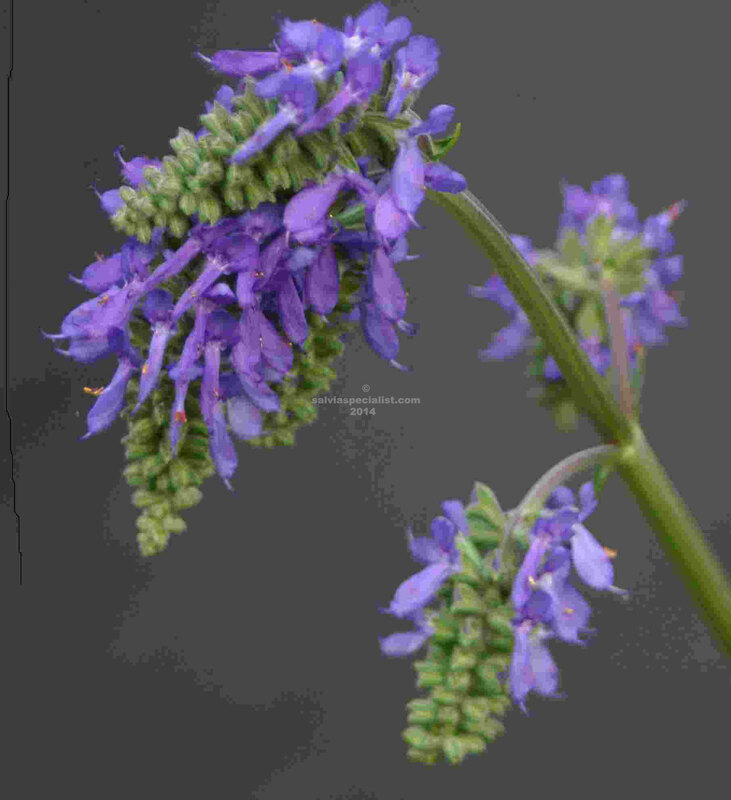 Nutans is an eastern European salvia which is quite unusual in appearance. It has base foliage that is semi dormant. The name means nodding and the heads of flower buds definitely nod. 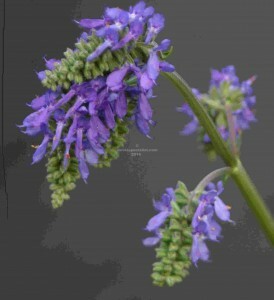 To me the individual flowers remind me of jurisicii, narrow and long and a similar blue. Nutans flowers at the end of spring. Nutans is not often seen in Australia. Unfortunately there is one like uliginosa which got called nutans in South Australia incorrectly and appears from time to time. My theory is that because of a sign saying nutans in the Adelaide Botanic Gardens someone took a plant or seed but the nutans had no doubt long died and seed of uliginosa up the back of the bed had taken off and that is what they gathered. Staff in botanic gardens are notoriously underpaid and they no doubt don’t have time to check labels. Not often available for sale. Usually only passed among collectors. Seed is now available from Jellitto (Germany) so one or two nurseries are growing and selling it.